The biggest hit Fordham faces from last seasons run to the playoffs is the loss of arguably the greatest coach in Fordham history, Joe Moorhead, who is now the offensive coordinator at Penn State. The good news for Rams fans is that the man he trusted most, his offensive coordinator Andrew Breiner, has assumed the helm and the staff and systems will remain in place. Easing the transition from Moorhead to Breiner is that face that Moorhead left the cupboard full with 18 of 22 starters returning. 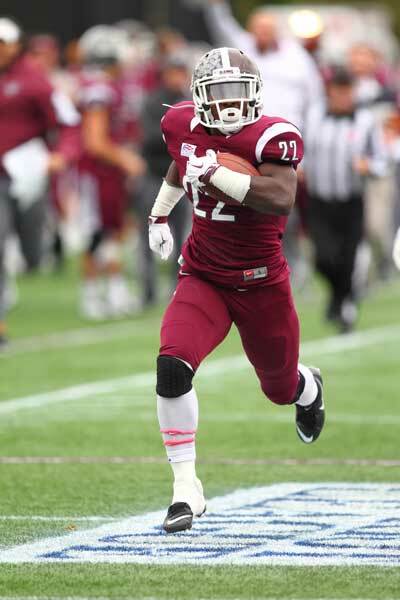 Offensively we all know who Fordham will lean on – All American running back Chase Edmonds. Last season Edmonds had a “down year” by the standard he set his first year, and by bad I mean he still ran for 1,648 yards (6.6 yards per carry) and 20 touchdowns. While Chase may get most of the national publicity he’s not the lone play maker in the backfield as dual threat quarterback Kevin Anderson ran for 590 yards and passed for over 3,000 in 2015. 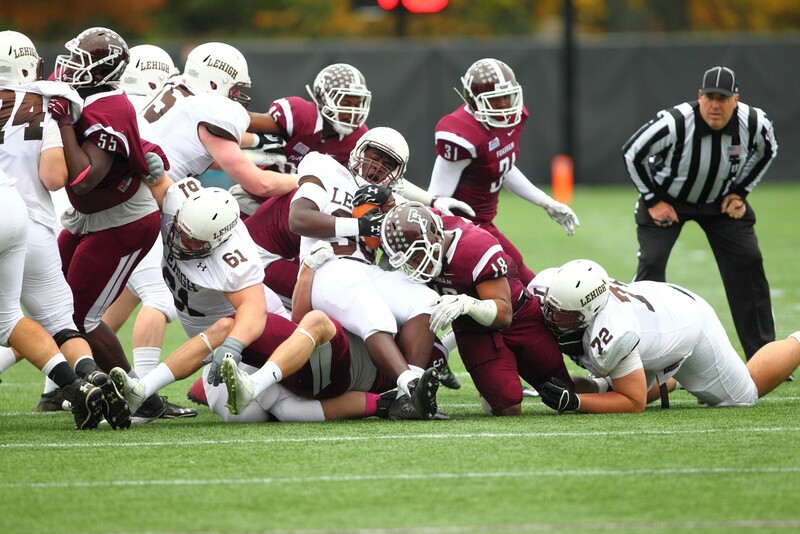 A key for Fordham moving forward will be lessening the reliance on Edmonds, as it means their passing game is clicking and they are seeing a more diversified attack. To help the passing game grow it helps to have a legit NFL prospect in 6’8 250lb TE Phazahn Odom who hauled in 37 passes and 7 touchdowns last season. The Rams will need to see growth from the young receiving corps though. Last season three freshman (Corey Caddle, Jonahtha Lumley and Jordan Allen) saw significant playing time. Moving into their second year on the field, and teamed with seniors Robbie Cantllie and Austin Longi should create depth at the position to help take pressure off of Edmonds. The biggest loss, and question, on offense is All American lineman Gerrick Mayweather moving on to the NFL. The rest of the OL is back, but Mayweather is tough to replace. If firing on all cylinders, this offense has a chance to put up numbers like few in the FCS. Can the Rams defense take a step forward this season? All of the offense in the world still needs help from it’s defense. To quote a Fordham fan on AGS when asked about the Rams defense last year “we stunk”. This isn’t something that was lost on new head coach, Andrew Breiner, who has vowed to overhaul the philosophy. We see a “good news/bad news” situation with the Rams defense – essentially the entire defense is back, minus All Conference linebacker Stephen Hodge. The good news is guys like George Dawson and Niko Tharpe are back in the linebacking corps. Defensive line anchors Manny Adeyeye and Marlon Crook are back. The front seven should be improved, even with Hodge’s departure. I’d like to say the secondary having everyone back is good news as well, but based on how things played out last year it’s a catch-22. In theory a year of experience should help the group, but much improvement is needed.